Ocean currents help navigate objects in the ocean because of the Coriolis Effect as well as gyres, which systemize the currents formations within the ocean. Currents also decide where storms are going too be located because of Ekman transport which controls the winds which blow or navigate the water currents. Ocean currents affect everyday life by putting powerful currents against fishing industry determining the time of return of ships and boats around the worlds ocean. Sea life such as certain fish migrate towards warm ocean currents seasonally therefore also determines the amount of sea food captured by fishermen from their native countries. This is what I know about ocean currents and why they are important in the cycle of the oceans in the world. I own a house in Machias, Maine located in front of the ocean and bay. The bay has a lobster fishing port where a number trash originates from. Ocean currents out further often transport trash and non degradable waste in front of my home which pollutes many beautiful natural waters and places due to pollution and shifting currents bringing in trash within our bay. This saddens me because plastic products such as bottles to plastic buckets destroy beautiful parts of nature due to the irresponsible of humans and their contamination. Often in the summer I and my family go for boat rides passing random trash within our ocean. In order to stop my dissatisfaction of these waters, I will help retrieve trash in open waters that I encounter. Ever since I was little my father and I have picked up trash washed up on the shores because of someday hoping the world can be cleaner again. If this occurs then pristine beauty as well as life will flourish again bringing the natural world closer to what it was ages ago. In Oceanography class we have recently been learning about oceans and how pollution can effect the creatures living in our oceans. We use a lot of plastic in our everyday lives and we need to be more cautious about where that plastic is going in the long run. 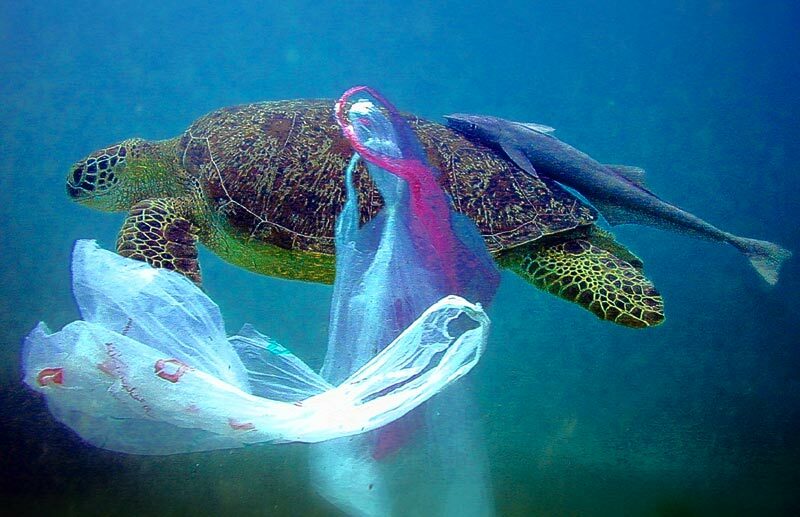 What most people dont realize is that if we are careless and dont recycle or cut down on the amount of plastic we use, we are hurting sea creatures because of where that plastic ends up. In class, we have learned about currents and we have watched graphic videos of sea creatures being hurt by the plastic that is in our oceans. We need to take action and change how much plastic we use and we need to make sure that we recycle the plastic that we do use. By using less plastic, we can have a big impact on the cleanliness of our oceans and better the lives of the creatures in the oceans. One action that we could take in order to reduce ocean pollution is to make sure that we are recycling all of our plastic. Another thing that we could do to prevent plastic in our oceans is reusing the plastic that we have so that we create less waste in the long run. Keeping our oceans clean is an important thing and we have many ways that we can help keep creatures safe from the harm that plastic poses. Changing minor parts of our every day lives can help ensure a longer, healthier life for the animals that live under the sea! How do patterns of physical changes in aquatic systems affect our lives? We have learned about ocean currents, the Coriolis effect, Ekman transport, salinity, densities, and how nutrients are moved throughout the ocean. Through learning all of this, we have learned about the devastating effects that plastic has on the ocean. The ocean is becoming polluted due to plastic. The plastic that is going into the ocean is being moved throughout the oceans. We read stories about rubber duckies, we saw the image of the turtle; it was awful. When learning all of this we decided we need to make changes to help our environment and oceans. One action item Kyle would like to do is to use paper bags instead of plastic ones. Gerry also agrees with this. Calvin will reuse plastic bottles, so that all the plastic does not go into the ocean because there will be less of it. I will now use reusable water canteens instead of plastic Poland Spring water bottles. We will also recycle the plastic Tru Moo containers at lunch. With these simple changes, we believe we could have a positive impact on the ocean and reducing plastic pollution. Ocean currents are constantly moving mixing hot and cold water. They move in circular motions and can change depending on surrounding weather conditions. Things that end up in the water that don’t dissolve (like plastic) get carried around the oceans in a never ending loop. We have learned that plastic harms both fish and us. There is no such thing as a organic fish because the entire ocean is contaminated by the plastic in the water. We are planning on decreasing our purchases on water bottles. Instead we will drink out of glass and aluminum water bottles/ cups. So this is extremely late but i need to do it anyway. One part of the field trip i really enjoyed and thought i learned alot from was when we went on the hike following Mr. Hardy and went to that pond you could call it. I found it really interesting because we could really see what creatures were in the environment. Mr. Hardy himself picked up a small lobster, i think, and the thing was clamping down on his finger. It looked pretty painful in my opinion. Not only that but we could flip over pretty much any rock and find a crab. My friends were running around going “Hey look at this huge one i found” “No look at my giant one”. It was really funny and cool. Some student even went in the pond as well and found some really cool creatures. Most everything else on the trip was not even close to as cool that part was. On a side note i had no idea Mr. Hardy knew as much about marine life as he did. It was surprising to me and was really awesome. In the classroom the major thing I learned is that the Gulf of Maine is not part of the Atlantic Ocean. 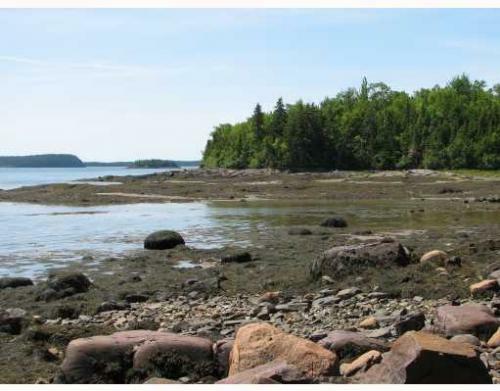 The Gulf of Maine is separate from the ocean and is its own body of water, even though it is connected to the Atlantic Ocean. Since the Gulf of Maine is directly connected to the Atlantic Ocean I assumed it was considered part of the ocean, but because of the currents the Gulf of Maine is cut off from the ocean. 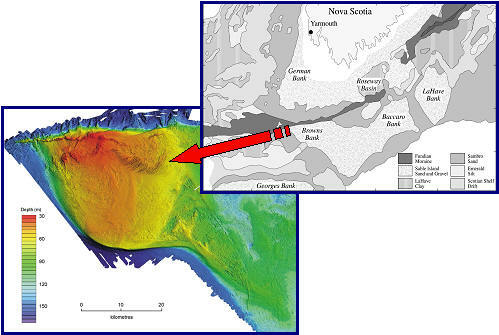 The Gulf of Maine goes from Cape Cod up to the Bay of Fundy in Nova Scotia. The Labrador Current comes into the gulf from the north and turns in a counterclockwise direction inside the gulf. 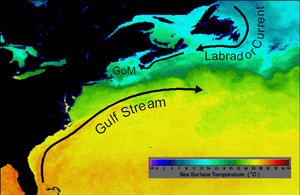 Since the Gulf of Maine is fed primarily by the Labrador Current, which comes down from the north, the water is generally cold. Last week our oceanography class went on a field trip to Ordione state park. On the day trip we learned many things. We had a presentation and got to do many activities in small groups that gave us a chance to do some problem solving on our own . One of the things I learned was that there are many ways used to show the months and temperatures using the water and the tides. Charts can show that the lighter colors represent summer and the dark represent winter. The tides also depend on the moon phases showing high and low tides. The areas that are in the Red, Orange and yellow have warmer climates then the blue and greens. Overall I believe this field trip taught me a lot of information about oceanography in a different way and gave us a chance to really experience this stuff through a presentation and looking at the tide pools.